Cinéfilo, Nº 109, 1930 - 30a, originally uploaded by Gatochy. Click image for 855 x 777 size. Scanned from Portuguese magazine Cinéfilo, Nº 109, 1930. 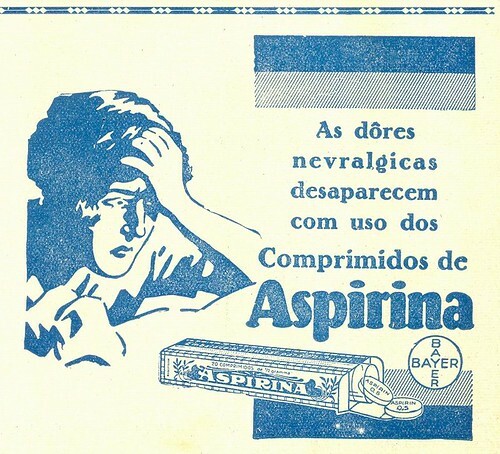 "Neuralgic pain disappears with the use of Aspirin pills."